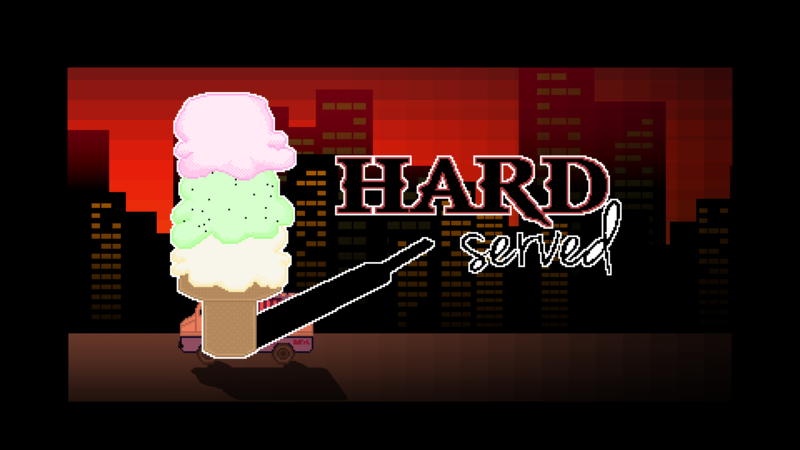 Hard Served is a narrative simulator where you play as an Ice Cream Salesman who goes to different locations to sell his product of ice cream and spiked ice cream to many different kinds of people, created by students in 5 weeks for the class Overview of Computer Gaming. These customers could be anyone from undercover cops (who will arrest you), kids (who probably only want ice cream), drunks (who may bring the attention of all kinds to your business), and just normal people (some will come for ice cream and others will come for the special products). Who will you sell to and what will you sell them? Your actions could lead you to be a savvy businessman or rot away in jail. 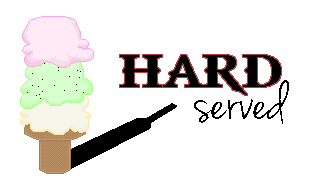 Play in one of six (6) districts for each day and serve ice cream in the city of Franklin. 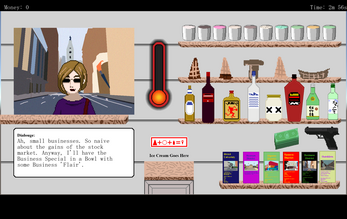 Click and drag the ice cream into the assembly station according to the customer's request... or not. However, serving alcohol to people who don't want it, or to children, can increase your "pressure", which will result in a game over and restart. However, selling alcohol can give you more money and quickly reach your goal. There are a few mechanics that we did not implement due to not having enough time. If we were to expand on the game, having more story cutscenes, supply management, and being able to use the gun to fend off danger would be implemented. 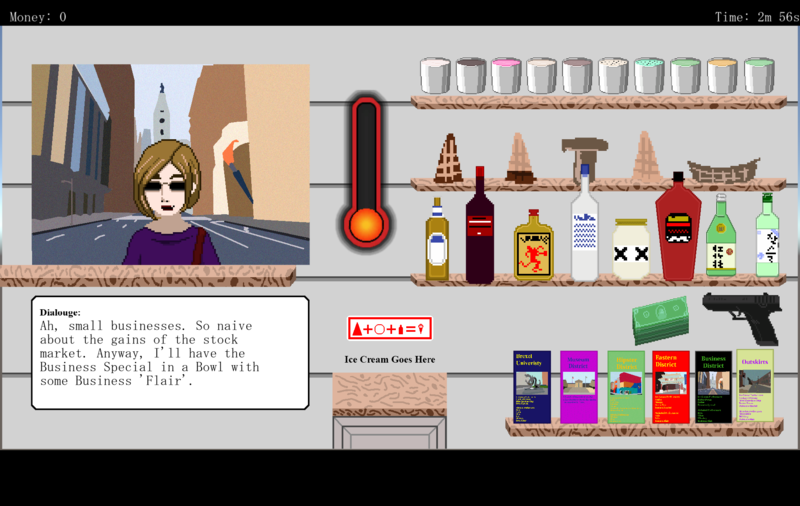 There may be some scaling issues (text and ice cream) and audio level issues. Please run the game in 1920x1080/fullscreen. This game serves as a proof of concept. 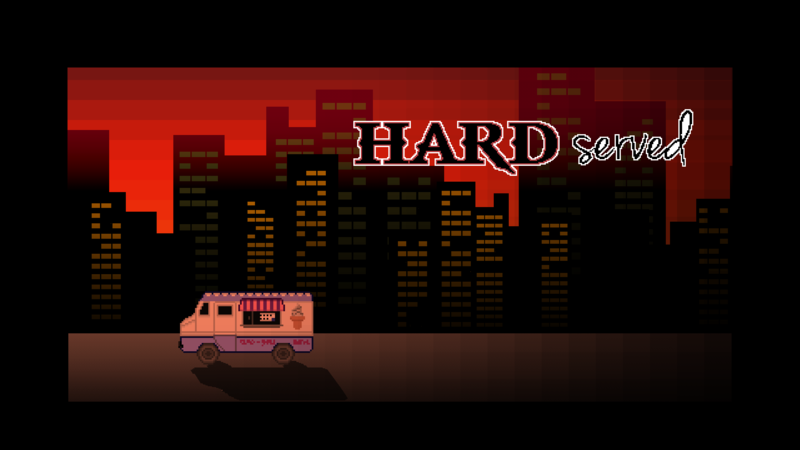 The version of the game is for the pitch presentation we had to do at the end of the class and can have bugs. 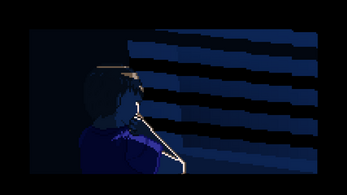 Listed by name, itch.io name, and major. Listen to the music in the music compilation video below. 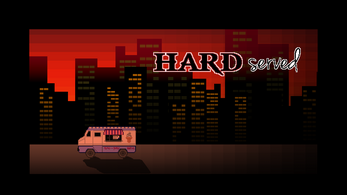 Click here to download some of the songs made for the game. 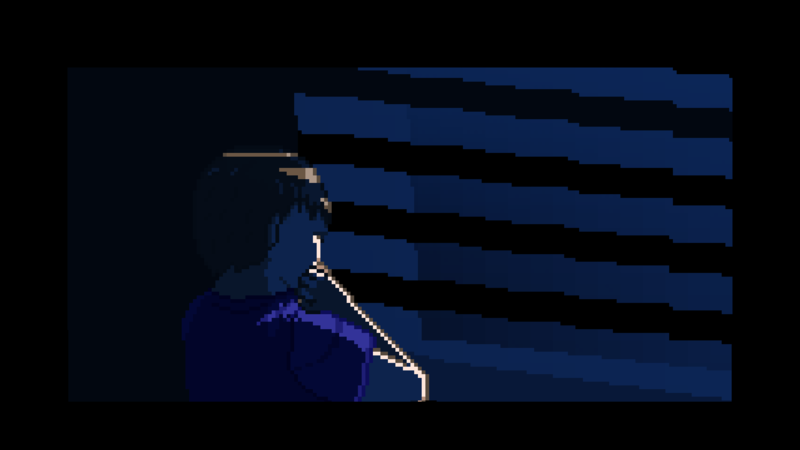 Open the file labeled "zew24_Week10_FinalBuild.exe" and run in 1920x1080 resolution.